The impact of the deepest economic downturn since the 1930s has been particularly acute for the legal profession. The increasing volume and complexity of regulation, retaining control of cost pressures and increased volume of work as the economy recovers have put pressure on the General Counsel and legal teams, who have had to keep up with a constantly changing professional landscape. But times of distress can also be moments of opportunity. The legal profession, with its track record of adapting to changing practice realities, may therefore end up stronger than ever. For this to happen, the resilience shown by the profession through a double-dip recession and sluggish growth must translate into new opportunities for innovative, well-managed firms with strong leadership and effective financial management. Getting business models into shape as the market grows is therefore imperative. The Corporate Legal Innovators 2015 will bring together the most innovative in-house legal directors and other key opinion leaders, to discuss and analyse the in-house legal team’s evolution into a commercial function driving economic value for the business, and what innovations are driving the interactions between businesses, in-house departments, law firms, outsourcing providers and new technology. An insightful legal, finance and diversity expert, Miranda Brawn has made a successful portfolio career for herself. Brawn has a robust track record managing teams and clients for the world’s largest banks, such as Goldman Sachs, JP Morgan Chase and Deutsche Bank. She has previously worked in senior middle office management roles and the front office as a sales trader. Today, Miranda manages the legal risk in Europe for derivatives, regulations and securities financing within an investment bank.Brawn has many strings to her bow and is well known for her passion in philanthropic and diversity issues. Moderator and public speaker for diversity, legal and finance events internationally. She advises ‘Game Changer’ firms and is their Ambassador in the media. Examples include where she is the Patron for the “Black British Academics” and the Vice-Chair for the “Black Cultural Archives”.She holds Post Graduate Diplomas in Management and Law, Master in Business Administration (MBA) degree in Strategic Management and Finance, passed the Bar of England & Wales (Lincoln’s Inn), studied News Journalism at The London School of Journalism & Political Philosophy at Cambridge University. The image of some professional services have taken a hit during the economic downturn. The legal department and profession are focusing more on their responsibilities as good corporate citizens. How is this emerging area of lawyers' activities evolving and where does it present opportunities to showcase the best of an organisation? He is also senior outside advisor to a number of Fortune 500 companies on executive labor and employment issues including all legal aspects of executive contracts and cross-border movement of executives among his other areas of practice. As the idea of an in-house legal team that functions less like an internal law firm and more as a commercial function driving economic value for the business has grown, GCs find themselves in more outward facing roles and the function consciously develops its own brand, what it means to be innovative has changed. A senior panel of innovators share their experiences and successes on these themes and more. Keith Krasny is an experienced private practice and in-house lawyer who delivers effective, efficient and practical coaching. 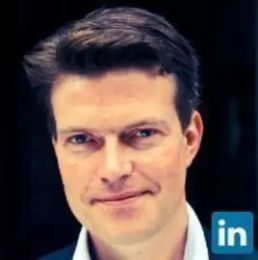 Previously, he was Acting General Counsel – UK for AOL UK / Huffington Post UK, and before that VP & General Counsel, EMEA for Expedia in London and Paris for several years. He moved to in-house teams from private practice initially at Weil Gotshal and Manges then Morrison & Foerster LLP. 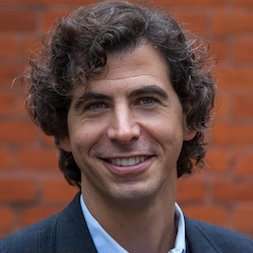 Keith Krasny is an experienced private practice and in-house lawyer who delivers effective, efficient and practical coaching. FUNKE ABIMBOLA is Managing Counsel (UK & Ireland), UK Data Privacy Officer and UK Company Secretary for Roche, leading the legal team that supports Roche’s pharmaceutical operations in the UK, Ireland, Malta and Gibraltar. She also has a commercial role as England Deployment Lead on a high priority, Roche market access project. Roche is the world’s largest biotech company. A practising solicitor for almost 15 years, Funke graduated with an honours degree in law from Newcastle University in 1994. She is qualified to practice law both in Nigeria and in England & Wales. 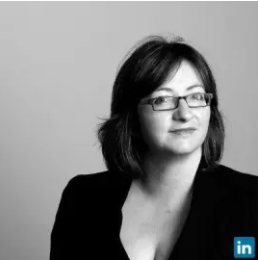 She is a recognised legal expert within the UK life sciences sector, has received multiple awards and other recognitions for her work and is listed in several international legal directories as an expert in her field. Importantly, Funke is a notable diversity champion and campaigner within the UK legal industry and has received awards and other recognitions for her diversity work, all of which is done in her spare time on a voluntary basis. A renowned public speaker, she speaks regularly at legal and diversity conferences in the UK and abroad. 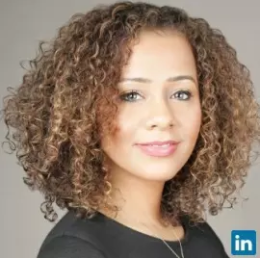 She speaks to and advises state school students as part of Speakers for Schools and also supports University students as a Professional Ambassador for Aspiring Solicitors, an organisation devoted to breaking down entry-level barriers for future solicitors from under-represented groups. She is a champion and regular speaker for WILL (Women in Law London), the largest network supporting pre-partnership women solicitors working in private practice and in-house. In addition, she established Women Leaders in Life Sciences law, what is believed to be the first international network dedicated to supporting the pipeline of female lawyer/leaders working within the life sciences industry. She is also personally sponsoring a research-based report on the social mobility issues within the legal profession, due to launch in September 2015. She is an experienced and expert mentor and sponsor, especially to female and BME students and solicitors. As one of the UK’s leading female pioneers in law, she was recently appointed as a Professional Champion to the First 100 Years project, a ground-breaking project dedicated to building up a digital library celebrating 100 years of female lawyers in the UK. A proud working mother to a 12 year old son, Funke juggles the demands of her career with home life and advises working mothers on how best to achieve the elusive work/life balance. Funke is passionate about the law, diversity, education and the healthcare sector. She is also a keen fundraiser for various charities including Cancer Research UK and has twice served as a school governor and a board director. As a support function along with many other teams within the company, in-house legal teams need to find increasingly innovative ways to demonstrate the value that they bring to their internal clients. This session will showcase successful examples of innovative value propositions and how this can also raise your team's profile and enhance your team's overall development. 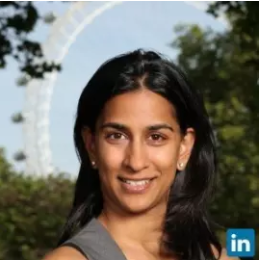 Janvi is the Chairwoman and co-founder of Halebury. Janvi focuses on client management and business development as well as team building and management. Halebury is an alternative law firm and NewLaw pioneer. Our flexible model provides a range of resourcing solutions to our clients and a unique career path for senior in-house lawyers. Our expert legal consultants have held positions as senior in-house counsel, Heads of Legal and General Counsel in leading businesses; they have the experience and commercial skills to seamlessly integrate with your legal team and business and to hit the ground running. With a strong TMT and financial services sector focus, we partner with you for the long term to help identify your resourcing challenges and seek to genuinely add value by creating new systems and efficiencies. Halebury lawyers are “your external in-house lawyer”. This concept is achieved by focusing on three key ingredients; engaging lawyers with superior industry knowledge and strategic focus; retaining entrepreneurial lawyers; and creating an innovative legal services model. Halebury lawyers specialise in employment, commercial and corporate law within the technology, media, telecoms and financial sectors. 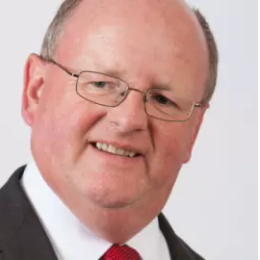 Karl Chapman is Chief Executive of Riverview Law and has a long pedigree in starting, growing and managing successful companies. 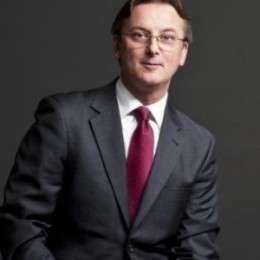 After reading law at Birmingham University, Karl joined Guinness Mahon Investment Management (GMIM) in 1985. In 1987 he was Money Observer’s top-performing UK unit trust fund manager. He left GMIM in 1989 to set up CRT Group plc (CRT), a consultancy, recruitment and training business. Under Karl’s leadership his team grew CRT, both organically and by acquisition, to a market capitalisation of over £600 million, sales in excess of £400 million with 2,500 employees operating from over 200 locations. In 1996 CRT sold 50.1% of its equity for £109 million to Knowledge Universe, a private US-based company whose major shareholders were Larry Ellison and Michael Milken. Karl left CRT in 2000 and set up AdviserPlus Business Solutions in 2001. AdviserPlus is a leading advisory outsourcing organisation providing HR, and H&S solutions to organisations ranging from FTSE 100 companies to SMEs. He joined Riverview Law with effect from 1 June 2011. Karl is based in London and Lincolnshire and couples his passion for business with a long-standing love of Chelsea Football Club where, over more than forty years, he has experienced the lows and highs that come with an irrational attachment to a football team. Artificial Intelligence, automation, management information, visualisations and analytics and expert systems are having an increasing impact on businesses. In this session we take a look at these global technology trends and how they impact and help the legal function, your wider business and what you can do about it today. 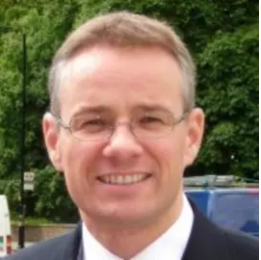 Richard Tapp, Director of Legal Services for Carillion, has been named one of the top lawyers in Europe by the influential FT Innovative Lawyers 2013 Awards. Carillion plc is a major player in the business services and construction fields, with revenues in excess of £4bn and more than 50,000 employees, and an in-house team of some 20 lawyers focusing on the provision of innovative business solutions. He is the co-author of Managing External Legal Resources (ICSA Publishing). 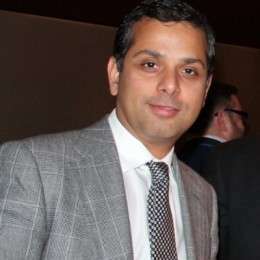 Saswata Mukherjee has worked for Unilever Legal group since 2002 working in several portfolios worldwide. Currently based in London at head-quarters, Saswata is part of Unilever’s Legal Management Team as Global Legal Operations Director. He is responsible for external legal provider strategy and implementation including law firm panels and legal service provider strategy. Saswata is also overseeing Unilever’s Legal transformation agenda and ensuring the talent pool has the right learning tools by creating a learning academy. The role also is responsible to drive simplification and IT synergy and opportunities for the entire legal group, including contract management and matter management tools. Previous to this role, Saswata was Legal Director SEAA (South East Asia Australasia), overseeing the cluster and involved in all issues/key projects most notably M&A’s. Saswata also led the Competition Law work for Unilever in Asia (South Asia, North Asia and SEAA) and was the Customer Development legal business partner. Saswata also acted as Legal Director (Board member) for Unilever Asia Pte Ltd (Unilever’s office in Singapore) leading a team of lawyers managing all legal & compliance issues. Saswata moved to Singapore in 2007 to undertake a specialised Supply Chain Legal Business Partner role and thereafter moved to corporate commercial roles in 2011. Initially he was based in the operating company (Hindustan Unilever Limited) and went on to take on numerous roles. The roles entailed business partnering CD, Marketing and Supply Chain functions (factories) and accountability for litigations dispute management in India. Saswata wants to spend his spare time with his family and travelling to different countries. Saswata is also an avid football fan. The global LPO market is estimated to be worth US$2.4bn, and is growing. The economic downturn, market liberalisation and cost and pricing pressures mean LPO can be an important consideration. As in-house legal teams evolve, so does the perception of LPO providers as simply back-office support to an essential part of unbundling legal services to deliver services in a more agile manner. What are the critical success factors? How do you bridge potential barriers to LPO success? 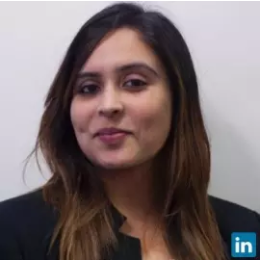 Maniti Barot is a Director with Pangea3 and is currently responsible for managing client relationships arising out of Asia-Pacific and Europe. In this role, Maniti works with clients on a wide range of engagements, leveraging her hands-on, unparalleled expertise in offshore project management. Her experience as a practicing attorney allows her to provide consultative project guidance to clients across Asia-Pacific, helping legal departments and law firms take advantage of time and cost-saving legal services and solutions. For over 8 years, in her previous position with Pangea3, Maniti was responsible for managing a team of attorneys within the Corporate & Compliance Department. In that role she ensured the consistency and quality of reviewed contracts, contracts negotiations, contract abstractions and oversaw all aspects of client interaction. She endeavoured to meet her client’s expectations and maintain the highest quality and efficiency by using Six Sigma methodologies, playbooks and other knowledge objects. Maniti received her law degree at Government Law College and is a member of the Bar Council of Maharashtra and Goa in India, with all India practice rights. She also is a certified Six Sigma Yellow Belt. Glenn Quadros has both a deep strategic and practical perspective on outsourcing and shared service issues having over 10 years’ experience on the “buy”; “sell” and “ultimate customer” side. He is also a very active NOA founding member. Currently, sitting on the board as General Counsel of ETS (“Enterprise Solutions and Technology”) Unilever – one of the largest, most progressive and sophisticated shared service organisations in the world. A key focus areas here is driving greater value from strategic suppliers, especially as service is predominantly delivered through suppliers, with 2/3 of spend being with third parties. 7.5 years on the buy-side at BT Global Services – experiencing both periods of high growth and challenging down-turns, where there was a significant amount of introspection on what went right and what went right. Helping to transform the legal function supporting ETS by initiating alternative methods of sourcing legal services. Three objectives of particular focus of Glenn are helping to: Reposition and rebrand the NOA to help influence the media, end users and suppliers on promoting the benefits of outsourcing arrangements. Ensure that End Users interests are at the heart of all key debates. Develop conventions “sticking” areas between “buyers” and “sellers” to promote a speedier, more effective and ethical way of transacting. Panel Discussion – Outsourcing vs. In-House: Finding the right combination. Most in-house counsels and legal firms have to consider the opportunities and challenges presented by procuring legal services from an external provider. With so many alternative ways to outsource, how does each option addresses the transformation of legal work, and how does an organisation find the right balance? Example of how one General Counsel is developing the common challenges facing many general counsels of running an increasingly small internal legal team that supports an increasingly complex and sizeable organisation. Topics will include: transforming the legal function so that it has absolute clarity on its purpose/where it adds value; what to outsource and to whom; collaboration amongst panel law firms, alternative law firms and business functions to systemise; and exploiting the use of technology to drive value with limited budget. Head of Legal and Company Secretary in several public / private sectors / Multinationals in India in thepositions of Chief General Manager, Director and Senior Vice President (one-step below Board level) andcurrently President (Legal) and General Counsel in Hinduja Group, London. Abhijit Mukhopadhyay has done Graduations in Commerce (Honours) and Law from India and the UK. 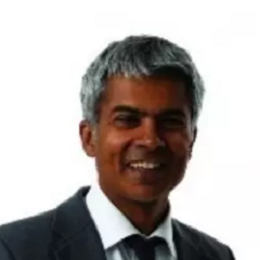 He is a qualified Company Secretary from India and Chartered Secretary from the UK and is a Fellow Member of The Institute of Company Secretaries of India and The Institute of Chartered Secretaries and Administrators, UK. Abhijit worked in India as Head of Legal and Company Secretary in six big public and private sector / multinational companies as Chief General Manager, Director and Senior Vice President (one step below Board level). Currently working as the President (Legal) and Company Secretary in Hinduja Group in London, ,Abhijit is involved in the Group’s worldwide legal matters covering international mediation/ arbitration, international litigation, strategic alliances, compliance of international sanctions, corporate governance and Board / Shareholder related issues, Intellectual Property Rights, M&A, negotiating international contracts, company structuring, Joint Ventures, anti-competition, etc. Abhijit was Company Secretary of a listed limited company in the UK and is a non-executive Director in Companies in five countries (Hinduja Group is a USD 15 billion Group with 80,000 people in 40 countries engaged in automobile, foundry, lubricant, power, banking, healthcare, defence, chemicals, explosives, media and BPO, thro’ its listed public and private companies). Abhijit is involved with many international organizations in various capacities as detailed below. Abhijit speaks in many international seminars globally and has written many articles in reputed international magazines. In India, he was associated with the activities of apex Chambers of Commerce as Committee Members, Member of the Secretarial Standards Board of The Institute of Company Secretaries of India and was in the Guest Faculties of several Indian Universities. In 2010 in India Abhijit was listed as one of the top 50 legal professionals and in 2013, he was a nominee of Global General Counsel of India award. Consequent to a paradigm shift in the business in the past two decades or so, global trade and commerce is moving from the West to the East. The world's three largest economies China, Japan and India are in Asia, which together have GDP of US$16 trillion. In this context, the role of the Legal Department is undergoing transformation. So is the role of the General Counsel. From being a function mainly focused on compliance, it is being integrated with the business more. Today's General Counsel is focusing more on adding value in his/her functioning. Be proactive, understand business and add value are the mantras of the General Counsels of 21st century. David Williams is a commercially-focused legal adviser and business partner to senior management across broad range of issues and projects. His responsibility also includes in business transactions, regulatory and compliance matters, and litigation/dispute resolution, with a focus on pharmaceutical/lifescience and highly-regulated consumer goods sectors. Manager of a Legal department operating in UK, Ireland and Mumbai, providing legal advice and compliance guidance to a business operating in over 100 countries. Concordia International specializes in the acquisition, licensing and development of off-patent prescription medicines, which may be niche, hard-to-make products. Its medicines are manufactured and sold through an out-sourced manufacturing network and marketed internationally through a combination of direct sales and local distribution relationships. The company’s diversified product portfolio consists of approximately 200 molecules, representing a variety of dosage strengths, formulations and geographic markets and covering a range of therapeutic categories, including endocrinology, neurology, ophthalmology and urology. He was responsible for team of lawyers providing legal and business advice to Teva’s business operations in UK, Ireland and Nordics. Business leaders rely on their General Counsel – the trusted colleague who “sees everything”, and who can therefore guide the business through an increasingly complex legal and business environment. But as that environment becomes more complex, businesses often need lawyers with very specific knowledge and expertise. Drawing on the experience of how one legal team has evolved and adapted to the changing needs of the business, this session explores how the skills of legal generalists and legal specialists can be combined together for maximum business impact. Alex Hamilton is a co-founder and Chief Executive Officer of Radiant Law. Before founding Radiant Law, Alex was a Partner at Latham & Watkins and co-Chair of Latham & Watkins’ global Technology Transactions Group. Alex is recognised in Chambers & Partners and Legal 500 as a ranked expert for IT and for outsourcing, with clients saying: “he takes a modern approach – he listens and understands the problem first, and is very cost-efficient”, “first choice lawyer”, “impresses everyone he comes across”, “In big-ticket outsourcings you want a pretty robust contract to draw on, and that’s what Alex always delivers”. 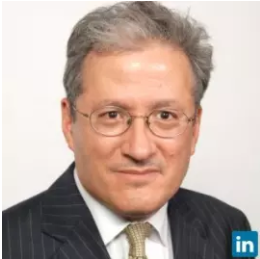 Alex also a lawyer focusing on outsourcing and technology transactions, including off-shoring, business process and assisted transformation outsourcing, information technology and network and systems and software procurement and integration and data protection. Alex has led a number of projects which have been recognised by the FT’s Innovative Lawyer Awards and was shortlisted for the FT’s 2010 Innovative Lawyer of the Year award. Amanda Illing is the CEO of Hardwicke barristers’ chambers. Her role is to develop strategies to grow the business and to build long-lasting relationships with clients while ensuring Hardwicke is run in an ethical way. She takes responsibility for the career development of the barristers at Hardwicke, and her staff team. She is committed to meeting clients’ needs and providing solutions to engaging the right barrister for the right client/case, and working out fee structures to suit. Amanda was previously the Private Secretary to the Director of Public Prosecutions and a caseworker in the Crown Prosecution Service, handling cases such as the appeal of the Birmingham Six, and the first corporate manslaughter prosecution following the sinking of the Herald of Free Enterprise. Amanda won the Silver Award for Inspirational Woman of the Year at the 2015 Citywealth Powerwomen Awards. She also won the Eclipse Proclaim Modern Law Award 2013 (Non-Lawyer of the Year). Amanda is a Fellow of the Chartered Institute of Personnel and Development (CIPD). She is a trustee of the Public Law Project (PLP), and trustee of the London Legal Support Trust (LLST). Outside work, Amanda is a member of a group that is trying to save its local pub, to open it as a community pub.